The main things for me are resonance and impulse. Resonance allows me to be in accord with space and context. And impulse arises when resonances coincide. The ability to actualize this impetus is indeed the most important for me. 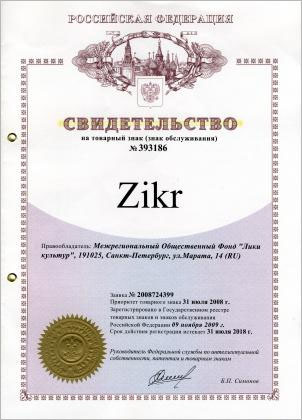 – Igor, where does such a weird endonym as “ZIKR” come from? Your group sometimes is defined as vocal symphony or improvisation duo. Where is the source of this unusual form of art? – I was always interested in arts; theatre, music, painting, literature – any kind of art concerned me as the fact of human life. I was absorbing arts from my childhood. What is it about? How does it relate to the life? Now I can talk about it, but when I was a child I could only experience it at the emotional level. Let’s take for example the music, especially symphonic one. Sometimes, staying at home alone, I put on a plate with a symphony, turned on the sound at full blast, and besides I was rejoicing my ears I derived pleasure from the music with all my body. All of its cells vibrated with the music, and when the final part began it was so erotically, I felt such a sensual pleasure that the squalor of human senses couldn’t suit me. I wanted music to be everywhere. But I didn’t know that time, how to achieve it, and if it was possible at all. – But why have you chosen unaccompanied vocals and pure improvisation? – I have been interested in human voice for all my life. I have been collecting records of various voices, I listened to them, tried to learn different singing techniques. Why do Tuvan monks vocalize exactly like this? And what is Tuvan singing at all? 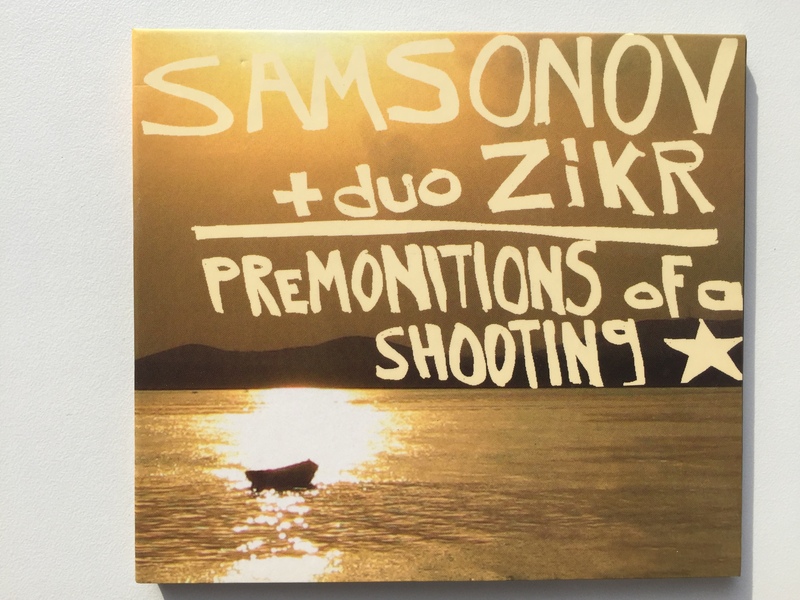 Or Slavonic lament? My grand-mother was a wailer. She had been invited to the funerals often. I can wail myself, if there would be the need to, may be not as good as my grand-ma. But I always was attentive to various sounds. I managed to elicit from archaic systems a vibrational singing technique. And I realized that these archaic systems contain something that is absolutely controversial to what we are used to. They are based on a very curious effect. You can bring a candle to your lips, and the flame wouldn’t flicker, if you start singing. The sound is not being thrown out. It isn’t a self-destroyer that throws itself with pain out of the life forever. If I may resort to such a comparison. The sound in the wailing could be compared with the adapted man who had faced new circumstances in life, but didn’t leave the life, who stayed in it, and regenerated his pain into vibration, if I may say so, that made his spirit and body stronger. This is what I name an adaptation. And ritual procedures facilitate it. There is a flashback from my childhood: I and my grand-ma were going to a cemetery at the Utorgosh railway station in Novgorod region. My grand-ma was short but sturdy woman who had been working at the railway for all her life. We were approaching the grave of a relative. All of a sudden my grand-ma took off in the air, flew three meters, fell onto the grave, and begun to yell in an inhuman… truly in-hu-man voice. I was so afraid that I climbed a tree… Sacrificers and shamans had done it before she did. It was an appeal to the other world, to the soul, to a wailing person herself. Duo “ZIKR” performed a lot at Catholic cathedrals. We came in, took permission from the padre, and held there a real concert. The Catholic Church is the most artistic in this sense. But in the Orthodox Church temples they don’t allow it… There only old grannies sing along softly… People are living terribly at all. I look at my coevals… It’s eerie. They are all grannies and elderlings. And I hear the same voice again: “There are no unworthy people. There is life unworthy of people”. These words were the only one consolation for me, when I had heard for the first time that peasants in villages began to hang themselves of anguish, of inescapable, depressing sadness. If only people could cry and laugh. If there had been a priest, a monk, a shaman in each village… They would had helped them to find inner powers although external situation would have stayed the same. I’m sure. People are able to find their inner powers. And I know how to help them in doing it. I’ll help to everyone who wants it. – How do you sing? What does your music arise from? What is it about? – It reminds archaic wailing. The sound conveys an impetus opposite to what we are used to expect of lamentation. The sound doesn’t cause pain, it heals, it penetrates the body, and the cells resonate. But what about vocal cords – they never get tired. The sound doesn’t extinguish or even waver the flame of a candle. It heals. It sounds because of weakness, but it gives birth to strength in itself. So do I… There is strength in weakness. And there is more knowledge in my music than in my books. – The traditional question: what did this all start from? 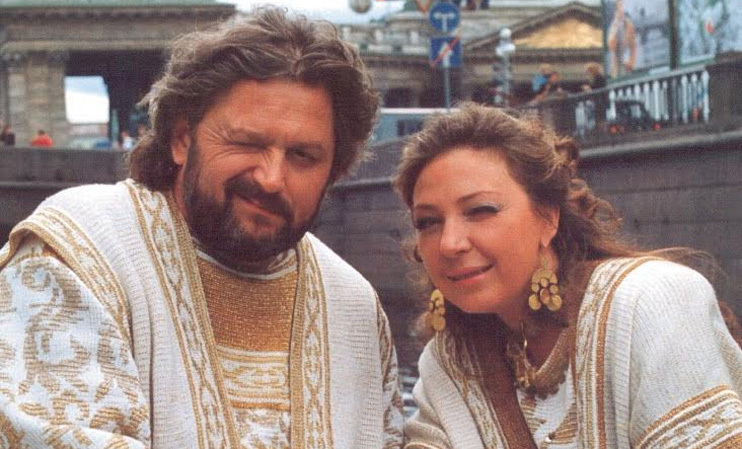 Formally speaking, I appeared firstly at the professional stage as a singer with my partner Olga Tkachenko being 49. After five years we got the highest score for vocals at a closed professional competition in Italy. Then we have traveled half the world. We sang in New-York on Broadway, in Jerusalem, in Hong Kong, in Australia, in Paris. We use various techniques – vibrational, classical, Sufi, Orthodox zeal, Tibetan. But there are no words. The language is a convention, I’m not interested in hiding behind words. – Igor, could you tell me about your especial program “The Spirit Warrior”, in which you performed with a symphony orchestra for the first time in 2016. – That’s how it was. 29 years ago I worked at the Institute of Clinical Radiology, and I communicated a lot with the people who had dealt with the consequences of Chernobyl accident. There were people who suffered radiation sickness, and they knew that they would pass away soon. They were discreet and high-spirited people. The only thought bothering them was about their folks who would stay without them before long. Contacts with them affected me greatly, the fortitude differing them from the other patients pierced me deeply. Eternal memory to them, and my everlasting gratitude for their generosity in sharing with me treasures of their souls. Years later feelings caused by communicating with these people were turned into music… Initially I sang it alone, then we did it with Olga, and after that we performed it with orchestra. Then we passed music on notes, made the orchestration, and sang it with symphony orchestra in Poltava in 2016. We repeated the performance in Kiev with the Kiev Symphony Orchestra. For me people, who had protected us form the consequences of that catastrophe, are the true spirit warriors. It was manifested in their work: they had done it to safe us all; it was evident during their last months, weeks, days. The man, who can forget about himself for love of others; the man feeling deeply with his hart, his soul; the man having guts to face the most severe trials having happened in life – that man is the Spirit Warrior, whose name we anthem. Remembrance of them is the lesson for all of us who is living. In “The Spirit Warrior” we want, we try to sing about the qualities of soul that allow the man win in dire straits, and not only win but protect other people who are not able to, who are not warriors. – Have you tried to cooperate with the other musicians? – Yes, we tried different things. We sang with jazzmen, rockers, accompanied by a piano… We only haven’t sung in opera. When the sextet had gathered, the decision was made that new singers should use musical notations of our compositions, and sing in accord with them at first till they wouldn’t be able to improvise sixfold. And they have done it. 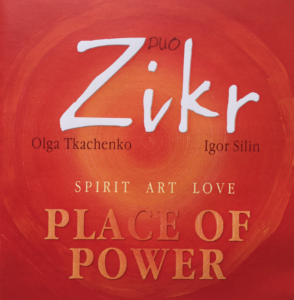 It has occurred to be very interesting for us, musicians, and for audience to hear duo “ZIKR” (me and Olga) improvising while “The Voice of Fire” is singing by musical notations. As time is passing by they all begin to improvise bit by bit, they are learning self-regulation techniques, resonance, and voice directing method that is used by “ZIKR”. And what about the orchestra… What a vocalist doesn’t dream of singing with symphony orchestra? It’s like a symbol. And we have sung. – How do people perceive your vocals? It isn’t classic vocals, nor pop music, nor folk, is it? – “ZIKR” is unique thanks to its particular manner of performance that manifests itself in vibrational singing technique. That means the sound emerges from the body, and it pours out through corporal resonators and vibrations into the specific timbre singing. We have been traveling along the world a lot, and we were told everywhere: “That’s the same as we do”. I remember, once in Tunisia a woman came to us and said: “My sister is living in an oasis. They sing there the same way as you do”. When we once have been singing for diplomatic corps members, cultural attachés of different countries addressed to us saying: “It sounds just as folk singing in our place”. That is we use archaic singing technique, and people hear echoes of something native, therefore they listen. We have been learning. After our duo had formed we were learning under the guidance of a professional classical vocals and chamber singing instructor. We use special technique to control our inner energy, and by that means we create resonance between us and the audience. Thus music is being generated right at the stage while we perform. Before the sextet had formed we didn’t have notations at all. Only when our partners had appeared they turned some melodies into musical notations, and we managed to listen to our own music performed this way – sung along with the notation for the first time. But still we were singing in different places, and people got us everywhere. Although there, properly speaking, is nothing special to be understood. But the stirring… All is to be understood by heart. 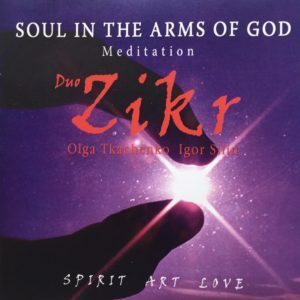 [Professional duo “ZIKR” has been singing at various stages all over the world for 23 years. 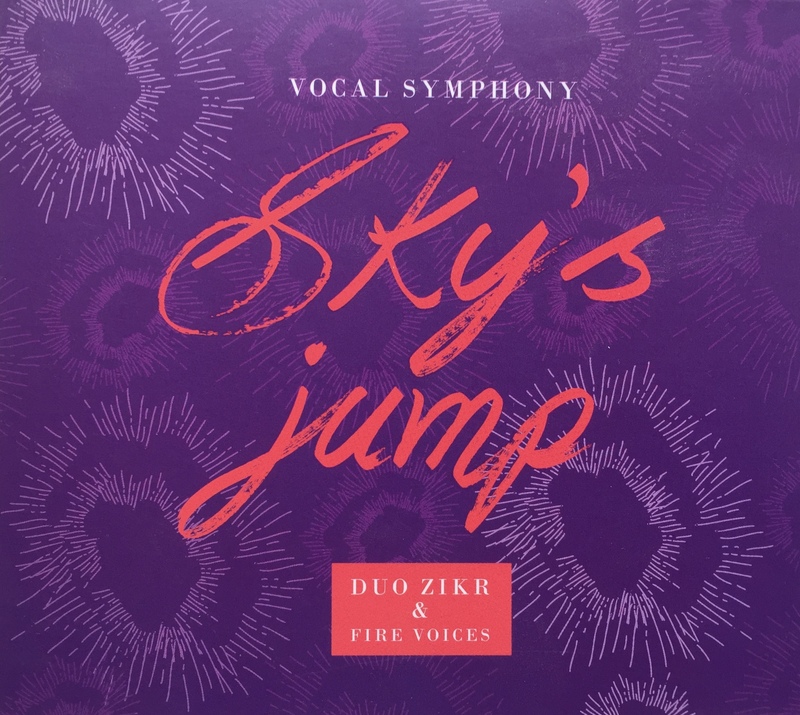 It cooperated with Sergey Kuryokchin, Boris Grebenshchikov, CHIZH, and now it performs accompanied by “The Voice of Fire” sextet. Moreover there are CDs issued. Just listen to the names of the most iconic of them: “Introduction to Practical Magic for Art Lovers”, “The Place of Power”, “The Star Wormwood”, “The Wandering of Soul”, “The Breath of Space”, “The Symphony”. These are records showing what is possible for the man who operates as a conductor of all the knowledge that exists in reality. – Do you consider “ZIKR” to be a professional classical vocal duo? – Once at the very beginning of our duo’s “carrier” we went to Italy to participate in a closed professional musical competition held at Leonardo da Vinci’s homeland. There were only composers, musicians, critics and producers present, no spectators, the event was arranged in a church. We performed terrible avant-garde accompanied by a cordepiano (an instrument invented by our friend). And than we sang at sight a text that was composed of the word “love” pronounced in many languages, then the word “land” in many languages. So very conceptional idea it was. And there were dashes denoting the ups and downs instead of notes. Nobody could sing it except of us, that was why the composer had asked us to do it. We got the highest score at that festival, and we settled down after that. So we sing professionally. The only one issue has remained: we are always out of format. Therefore we publish our records ourselves, with the help of friends. There is quite a big number of disks issued. We arrange our renditions ourselves. What else can we do being out of format? Nevertheless we have sung for 23 years yet. And we are recognizable from Hong Kong to New York, and from Saint-Petersburg to Sydney… That’s how our musical story was being shaped. 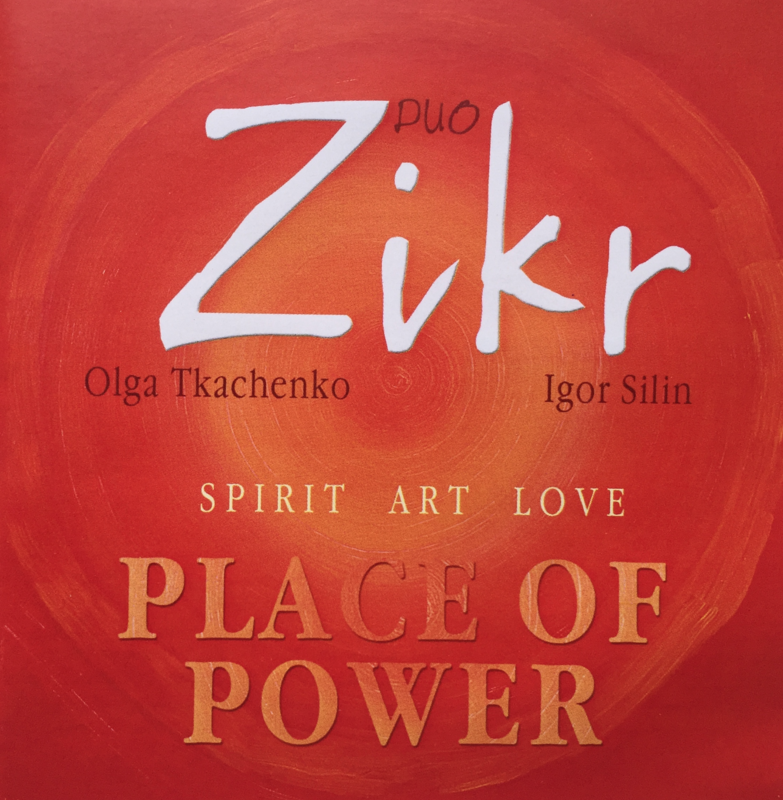 In 1993 Igor Kalinauskas together with actress and singer Olga Tkachenko created vocal duet “ZIKR”. 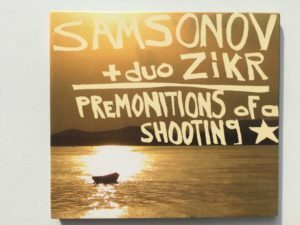 Its uniqueness resides in the free improvisation of the two singers which unveils the true potential of human voice. 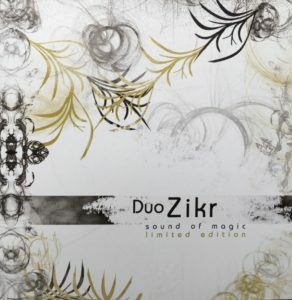 Duo “ZIKR” has traveled all over the world; from Australia to America and recorded 20 albums. Video clip “The Way to Katmandu” won the main prize for the best direction in the 6th Moscow festival of video clips “Generation – 98”.